PF Jones brand of vehicle specific towing electrics are full function, meaning you do not need to purchase any additional extensions. What is a dedicated wiring kit? 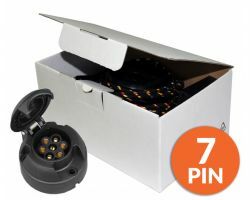 • Dedicated wiring kits consists of a vehicle specific wiring harness and control unit with vehicle connectors and relays designed to fit and operate specifically with your vehicle. • Most kits consist of a trailer control unit, loom with corresponding plug in connectors, power and communication cables, fully detailed vehicle specific pictorial instructions and a high quality 7 or 13 pin socket. In addition you will also find a quantity of cable ties, fuses, and grommets necessary to complete the installation. • Dedicated wiring kits are better than universal kits, because dedicated kits are specially designed to work in harmony with your vehicle’s electrical system. Some will communicate with other vehicle control units to alter other vehicle settings accordingly. This will also activate the dash trailer indicator warning light, deactivate parking aids and the rear fog lamps. These are model dependant features. 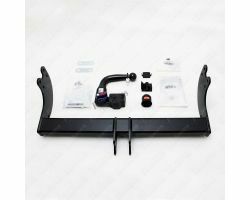 • "Dedicated wiring kits are generally not that diffcult to fit, much depends on the vehicle make and model. In some cases, a high degree of expertise is required. 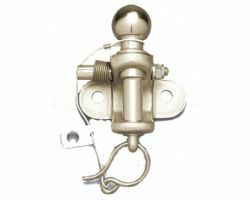 If installation is beyond your capability, we STRONGLY recommend you have it installed by a reputable towbar fitting company. They may even be able to re-code the vehicle subject to having the equipment." 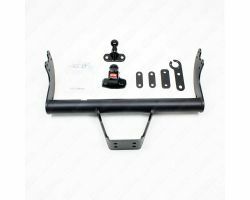 • The benefits of a dedicated kit, is that when you tow the kit will alter (model dependant) the vehicle systems such as the trailer stability control program, suspension settings, traction control and anti-lock braking. • Dedicated wiring kits operate three types of warning device (model dependant), audible bleeper, visual dash warning light when indicating and the original indicator warning light will flash at twice the usual rate when a trailer indicator has failed. • In most cases, a dedicated kit will perform the full light functions after correct installation and a recode will not be required. However, if you wish to benefit from the additional safety features and other functions, then a recode may be required. Full recode details are included in the kit. I. No Dealer Download required: Kit will perform full light functions without dealer recode. II. Dealer Download Optional: Kit will perform full light functions, but will need dealer recode for disabling rear parking sensors & switch on visual warning device. III. Dealer Download Compulsory: Kit will need a dealer recode for all functions, lights and safety features. • Dedicated kits wiring colours are different to the U.K. standard colours. The colours in the dedicated kit loom may conform to ISO1724. The designation and the colours are detailed below. 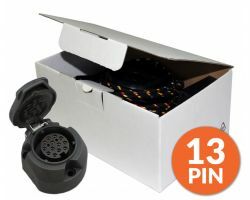 • Some dedicated kits are only available with a 13 pin socket, when your caravan has two 7 pin plugs, adaptors are available that will convert from a 13 pin socket into either both 12N/12S 7 pin sockets for twin electrics or from a 13 pin socket to a single 7 pin socket for normal light functions. 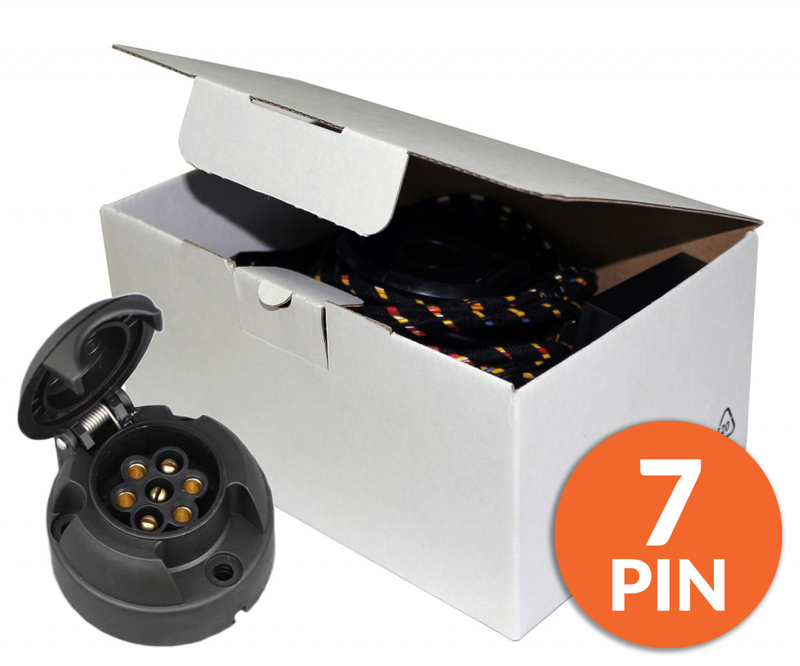 • Some dedicated kits are only available with a 7 pin socket, when your caravan has a 13 pin plug, adaptors are available that will convert from 12N/12S 7 pin sockets into both 12N/12S functions in a 13 pin socket for twin electrics or from a 12N 7 pin socket to a 12N 13 pin socket for normal light functions. • Is quick and simple to connect to the socket in the vehicle. • Comes with a detailed assembly manual with easy to follow step by step instructions.